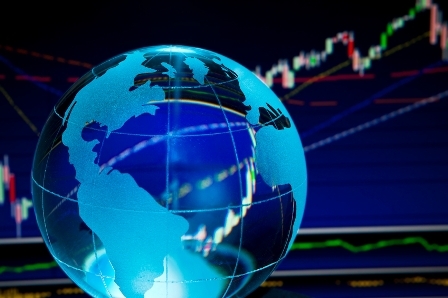 The global ETF space has experienced increased popularity and success recently, inspiring different companies to throw their hats into the ring. The latest in this spate of new players are mutual fund giant Legg Mason and financial planning/investment advisory firm WBI Investments, which are launching two new products. The new International Low Volatility High Dividend ETF (LVHI) from Legg Mason, launched on July 27, offers investors the benefits of dividends, low volatility, and currency hedging. The fund is designed to provide a stable source of dividend income from international stocks. Its QS International Low Volatility High Dividend Hedged Index uses various filters to find dividend payers with a high yield over the past four quarters, as well as various fundamentals to support that payout over the next four. The fund will then apply a set of volatility screens on its chosen stocks. Both price volatility and earnings volatility will be examined to ensure stability for investors. Finally, LVHI is engineered to lessen its currency exposure to the U.S. dollar for reduced risk. With an expense ratio of just 0.40%, the fund is expected to be quite attractive among investors. After launching WBI Shares about a year ago, WBI Investments quickly acquired more than $1bn in assets under management, making it one of the new challengers to watch. It hopes to ride that momentum with the WBI Tactical Rotation Shares (WBIR) fund. Considered a “global allocation fund”, WBIR can own practically any asset class and type, from corporate bonds to Malaysian stocks. The actively managed ETF assess various factors and conditions that could affect the risk-adjusted returns of different investment opportunities. Fund managers then shift asset allocations as circumstances warrant. WBIR will employ other ETFs rather than individual securities. The fund rebalances its holdings quarterly and charges 1.43% in expenses. With more than 270 ETF products listed globally as of the end of June, one may wonder when the space will get too crowded. However, judging from the record growth the industry is experiencing, it won’t be anytime soon.